In the rise of technology, many of the things we once considered to be essential are now rendered almost useless as developers aim to provide more convenience and wider access to do tasks with just one little gadget. With more people preferring email as a mode of communication, schools encouraging the use of PDFs and ebooks, and students and workers investing on laptops, it is a wonder whether pen and paper has lost its art. In the era of touchscreen, has paper lost its touch? 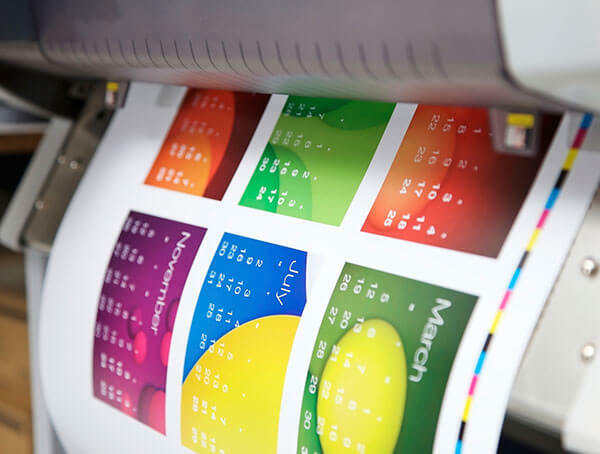 Old-fashioned as paper may seem, especially for the younger generation whose fingers have spent more time on the smooth screens of electronic gadgets than ink-stained on the rough edges of paper, the print industry seems to remain enthusiastic on the relevance of paper. Through the sea of new media available for consumers to use, there appears to be something that keeps the paper industry afloat. Among the firm believers of paper’s undying potential are of course the people within the corners of the room that first taught us its value though handwritten projects, book reports, etc. So with the rise of all these gadgets and word processing applications, a lot would think students have now been cut off some slack. However, a report by the Paper and Packaging Board revealed that 70% of high school students still take down notes and even 7th graders and college students believe that information is better retained when handwritten. This means that even with technology offering people more convenience and with younger people getting more computer literate, the hassle of taking down of notes on actual, tangible paper is still best preferred. While some people may also argue that those who refuse to use tablets or laptops for schoolworks just haven’t indulged themselves yet with technology because “they’re too old” or “they don’t know how to use a computer”, a Nielsen report begs to differ. In their survey participated by “Millennial” parents, which means parents who were born in the peak of technology, 96% prefer that their children use pen and paper when doing their homeworks because they believe children learn better that way. What’s interesting about this finding is that this was conducted on the generation that’s not too young to be part of the market for new technology, but also not too old to remember what it was like before the world decided to modernize, and yet they still subscribe to the latter. But of course there’s a difference between what the students’ and parents prefer and the results when these methods are really applied. As cited by the Paper and Packaging Board, a survey done in five countries by Dr. Naomi Baron, a professor of Linguistics at American University, revealed that 92% of the students considered print as the best medium for concentration, and comprehension was better facilitated when the reading material can be held and felt. In her study entitled, “Reading in a Digital Age”, she added that reading in print and reading digitally differ not only in the material but also in the purpose it serves in reading. She suggested that with the features of on-screen reading, it is suited more for information searching than reading comprehension and analysis. Paper has been around long enough to have weaved itself in the cultures of many people. When our ancestors moved on from walls, it was upon its surface that the history, and with it, their culture, was immortalized in a form that can actually be passed on to the next generation. It is no wonder that we feel most connected with what we read when it is in the form we can touch, and not a collection of images behind a screen. It is that form of connection that no WiFi or social media can ever emulate. Regardless of how much the world of technology tries to automate the process we experience with paper, it is no more than just a mere digitalization of it in a more compact form. The four corners of the document we write on which we break page by page with page numbers and save in a folder are not just being used by word processing applications because it aims to realize the experience of actual writing. This reference is a manifestation of its timeless relevance – that no matter how much technology tries to make more convenient the art of writing or reading, its prerequisite is to essentially copy how paper looks like. From parchments to ruled notebooks to glossy magazines to tablets and smartphones, on-screen reading is no more than an evolution of paper.